One of the newest Lenovo mobile phones now can avail via globe postpaid plan. Take your entertainment experience to the next level with Lenovo Vibe K4 Note + Virtual Reality Headset bundle. Featuring Dolby Atmos™ speakers, listen to awesome music, watch your favorite movies and TV series, or play the latest games in great audio quality. Plus, stimulate your senses by immersing in your favorite games and videos with Virtual Reality Headset. For Lenovo K4 Note with VR specs click here. 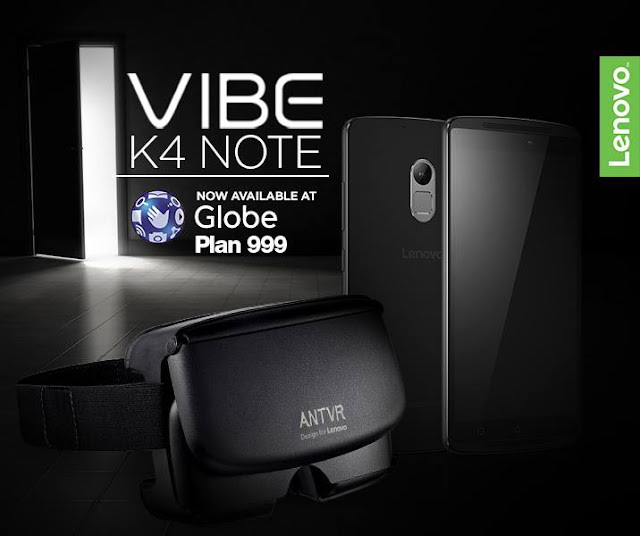 Avail of this handy smartphone + virtual reality headset bundle by getting it at myLifestyle Plan 999 for FREE. To avail this Globe Plan click here.